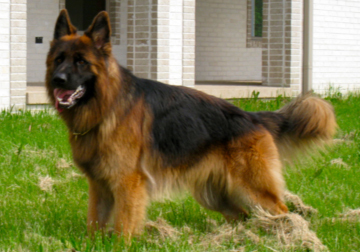 We raise and train Long Stock Hair German Shepherd Dogs, also known as Long Coated German Shepherds. April 8, 2019......We just had a wonderful weekend in Pennsylvania!!! More info on our newspage!!! Jana Gabrysch, 8200 Crouse Willison Road, Johnstown, Ohio 43031. © 2019 Haus-Neufus. All Rights Reserved.